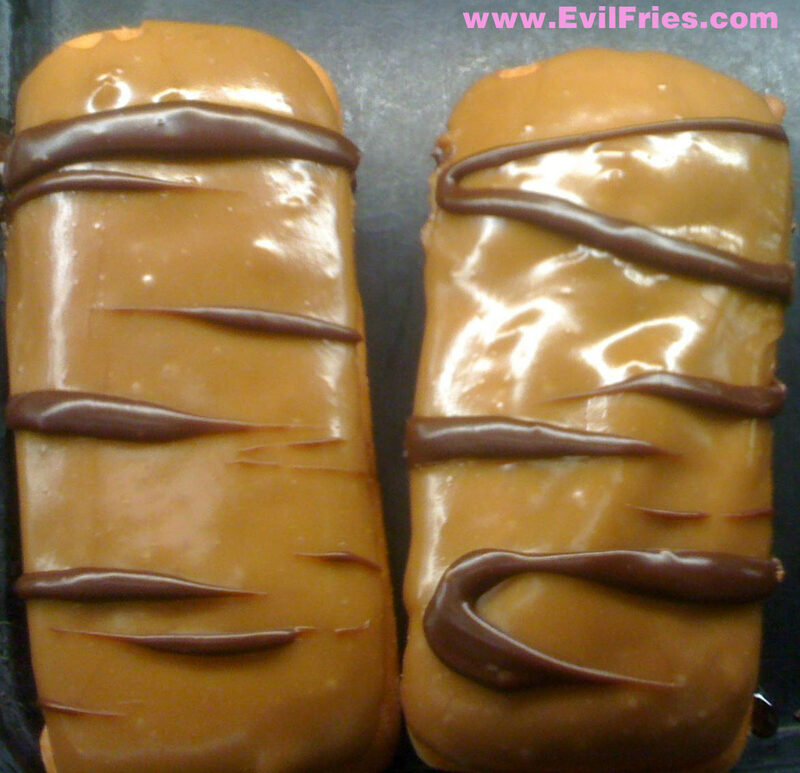 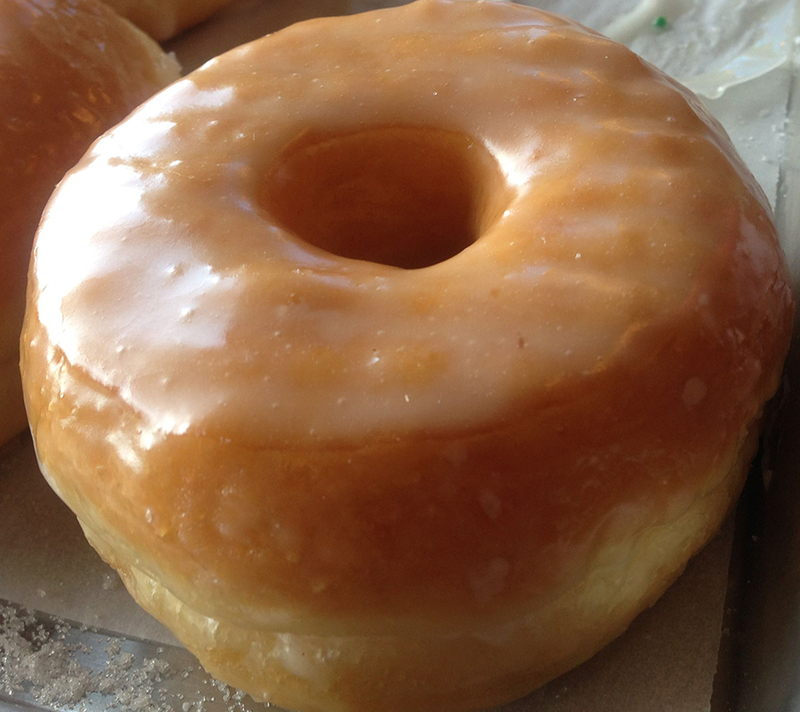 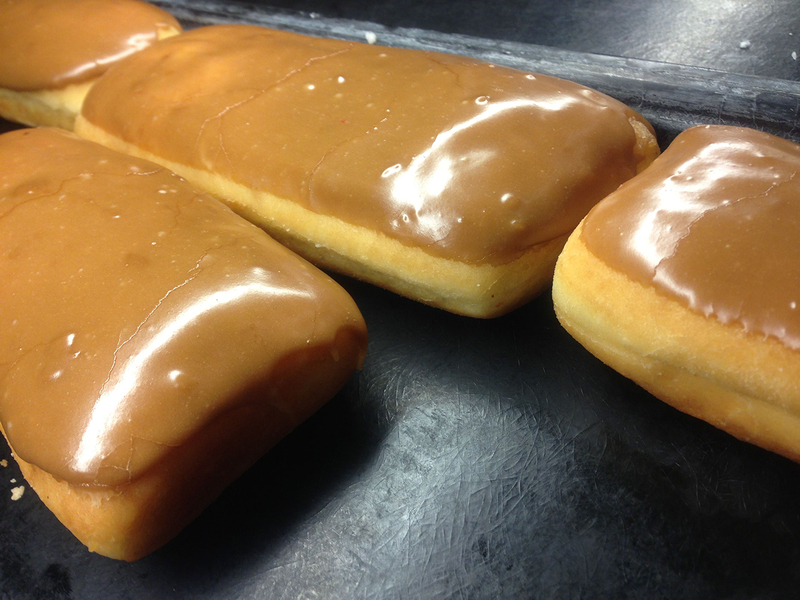 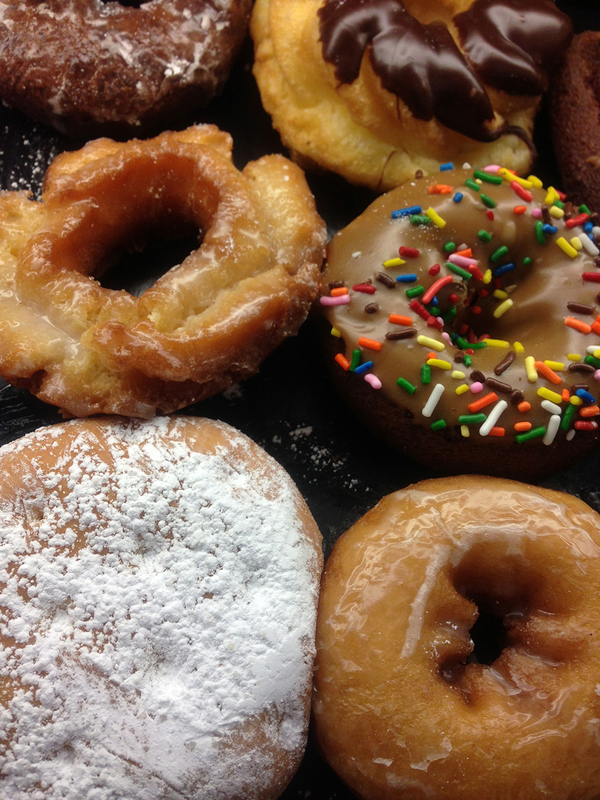 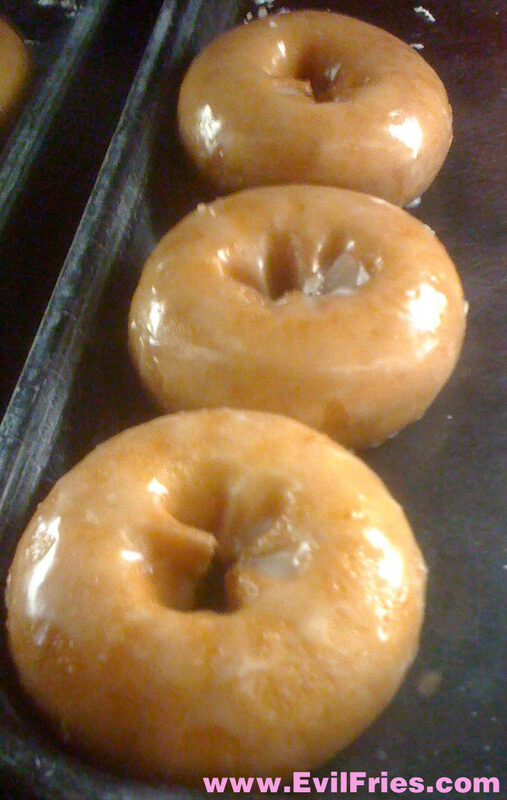 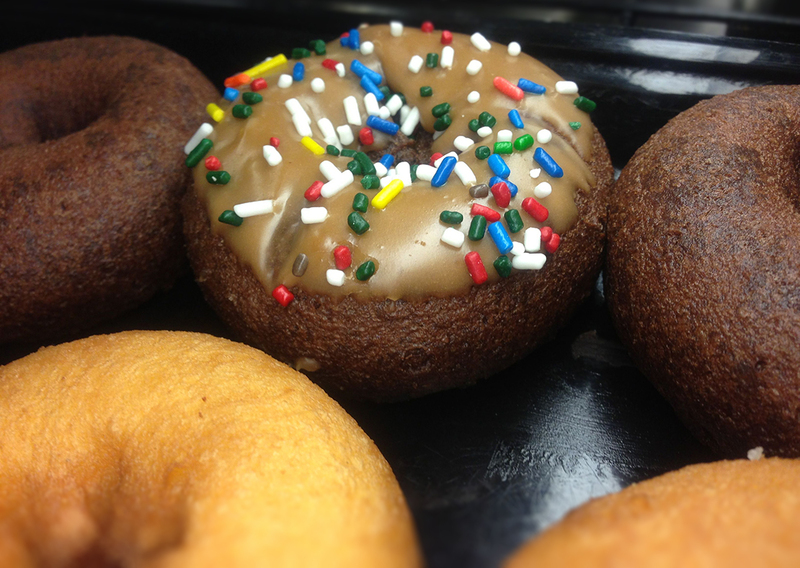 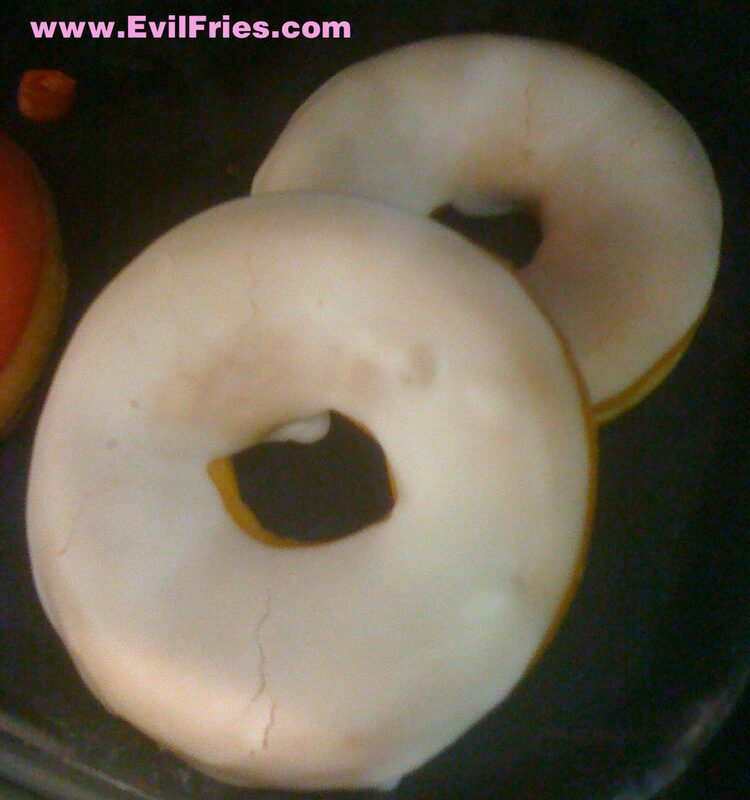 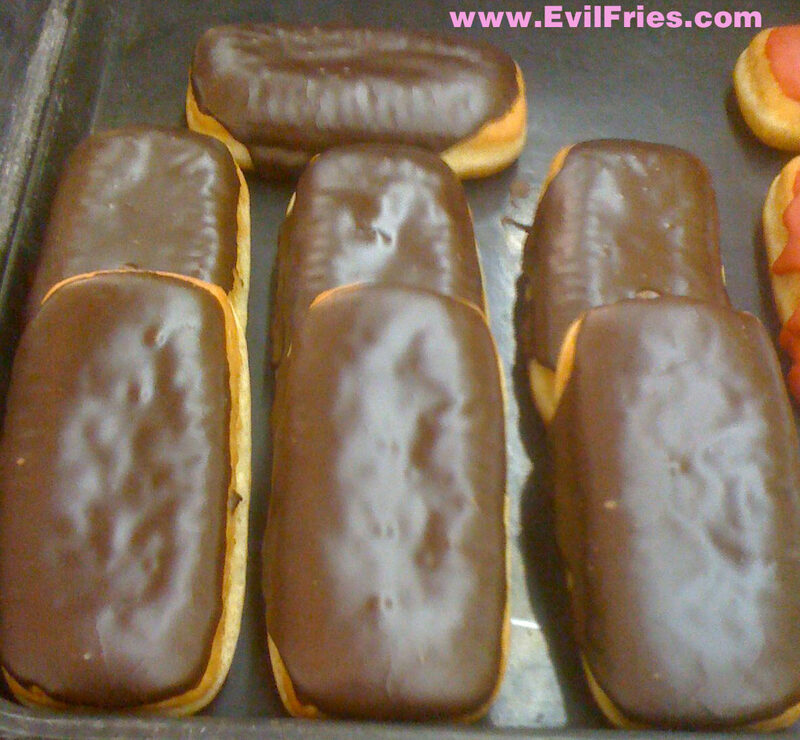 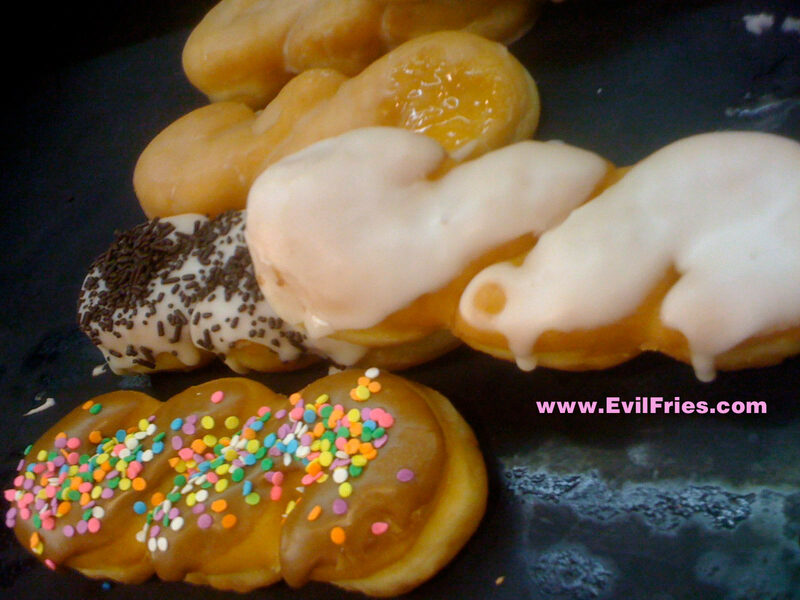 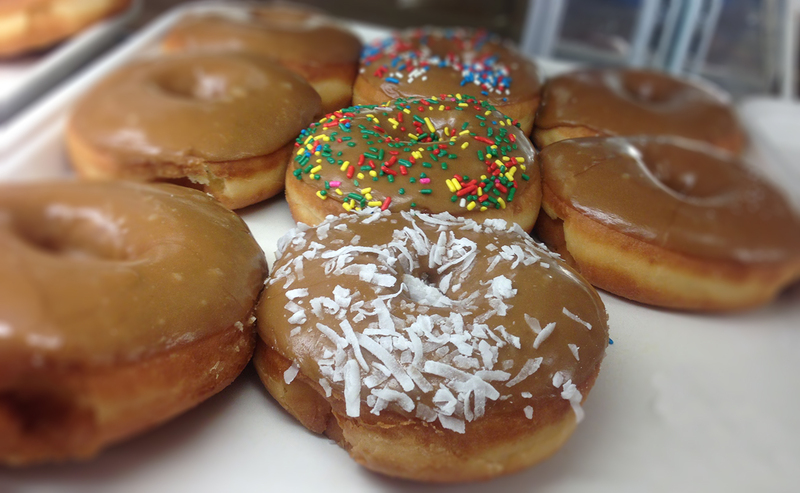 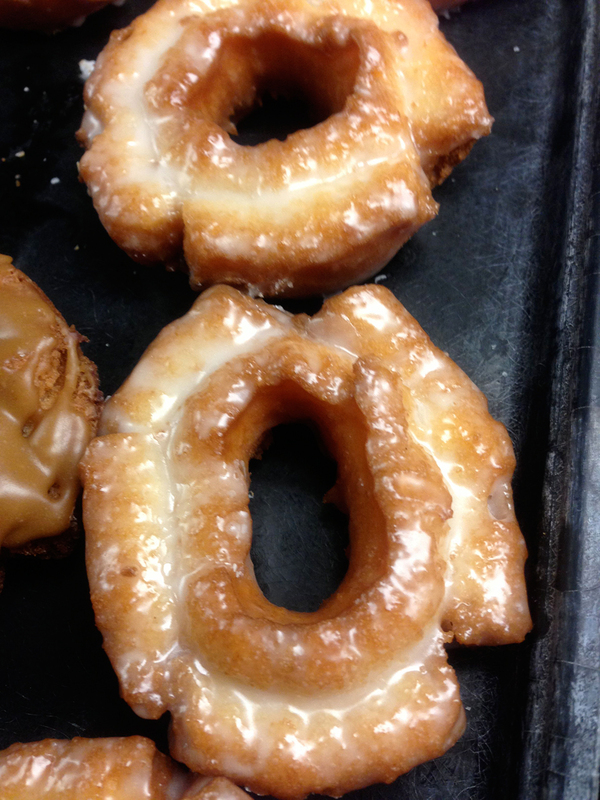 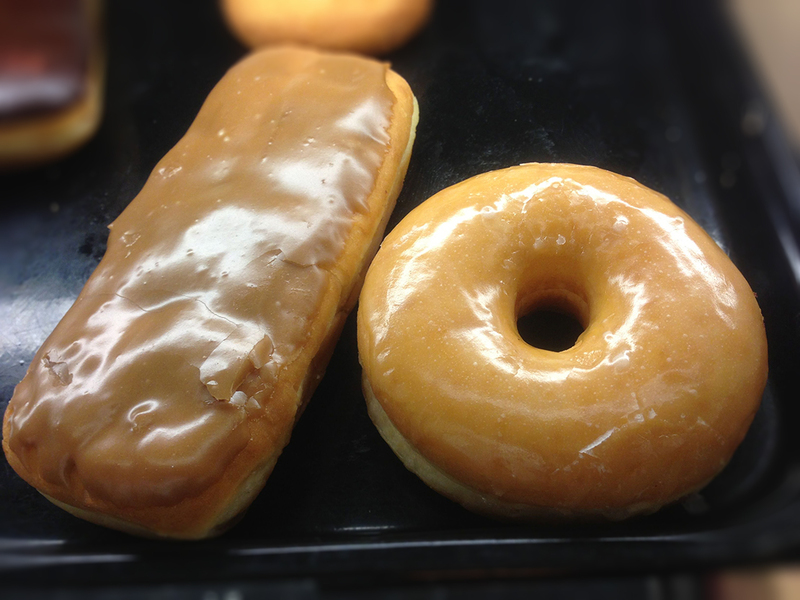 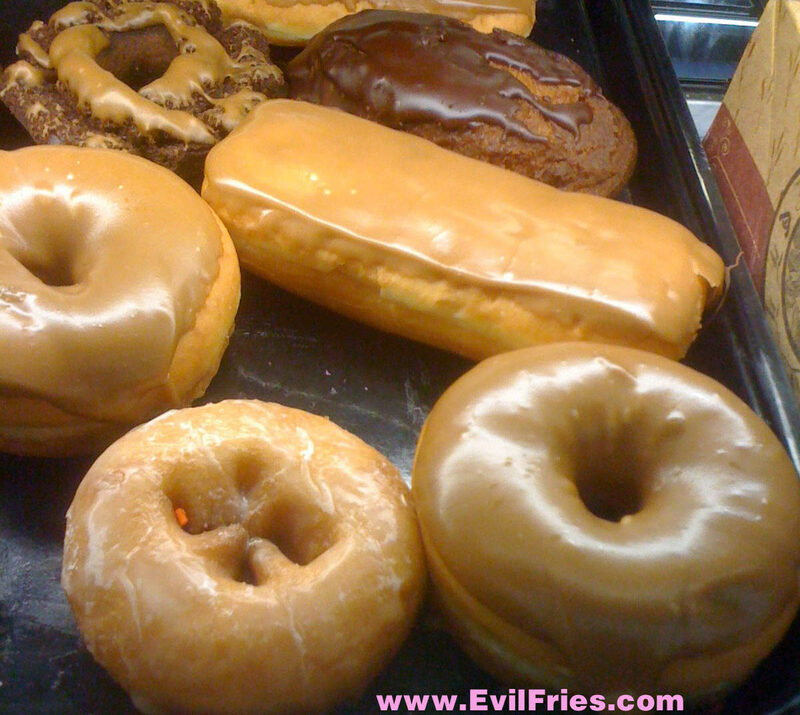 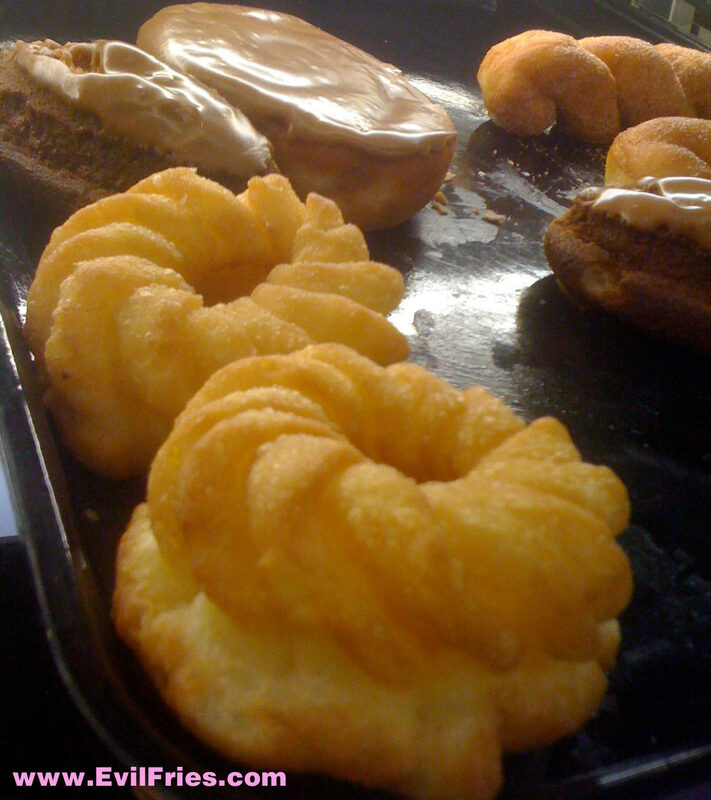 Assorted donuts – a sugar encrusted cake donut and some basic donuts dipped in caramel icing. 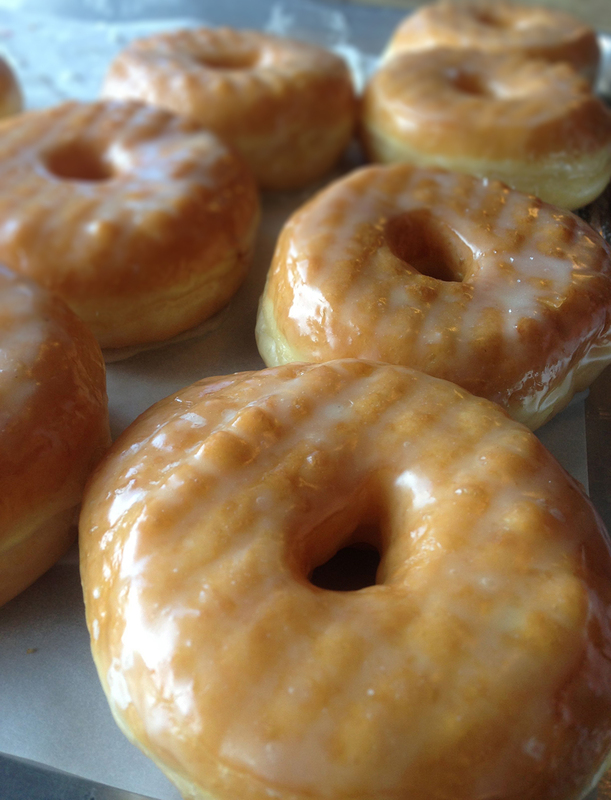 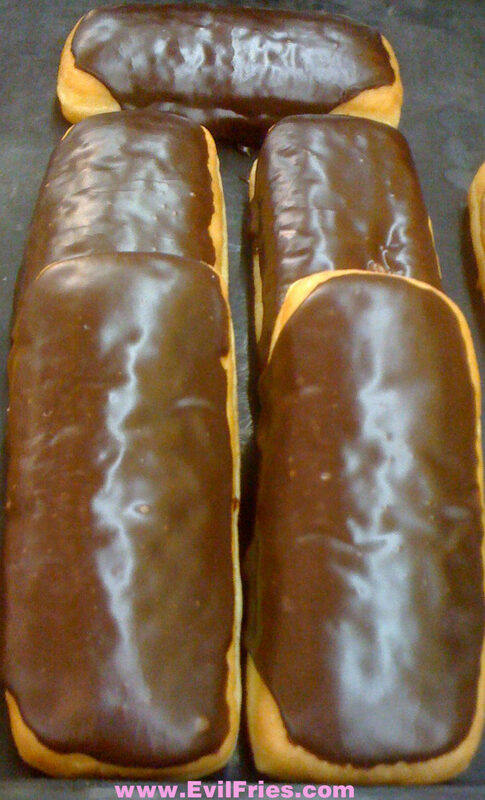 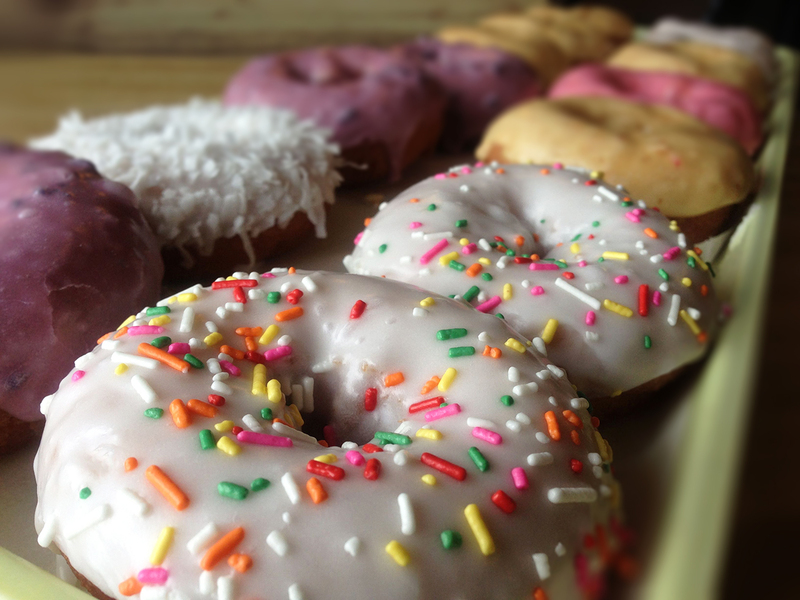 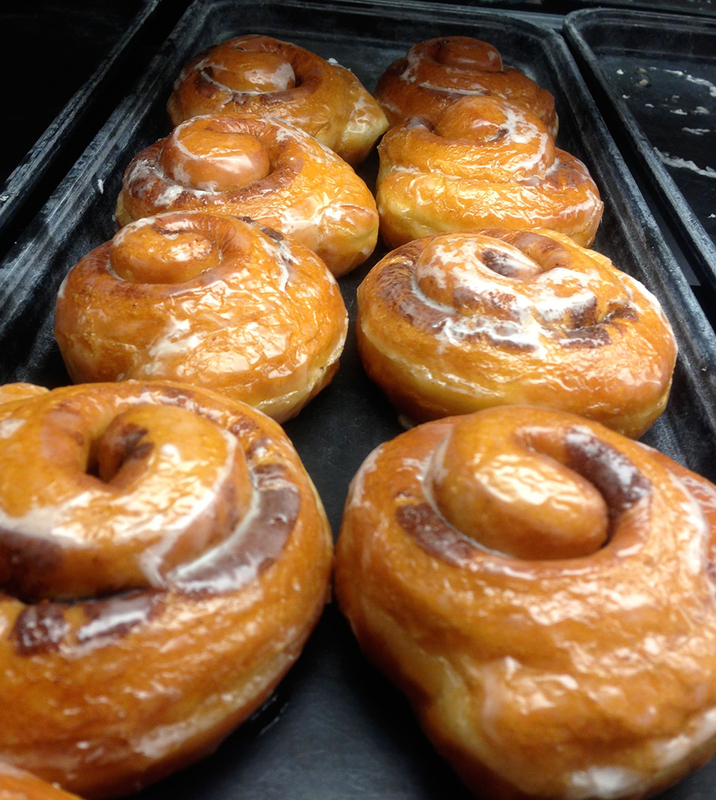 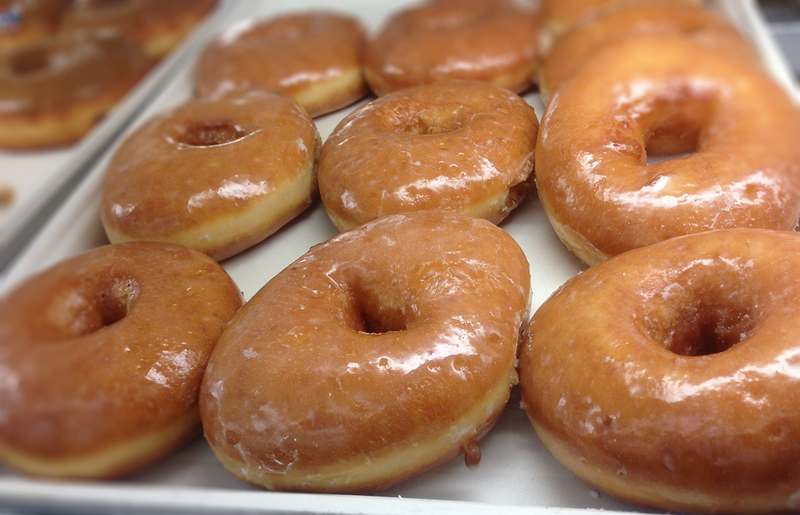 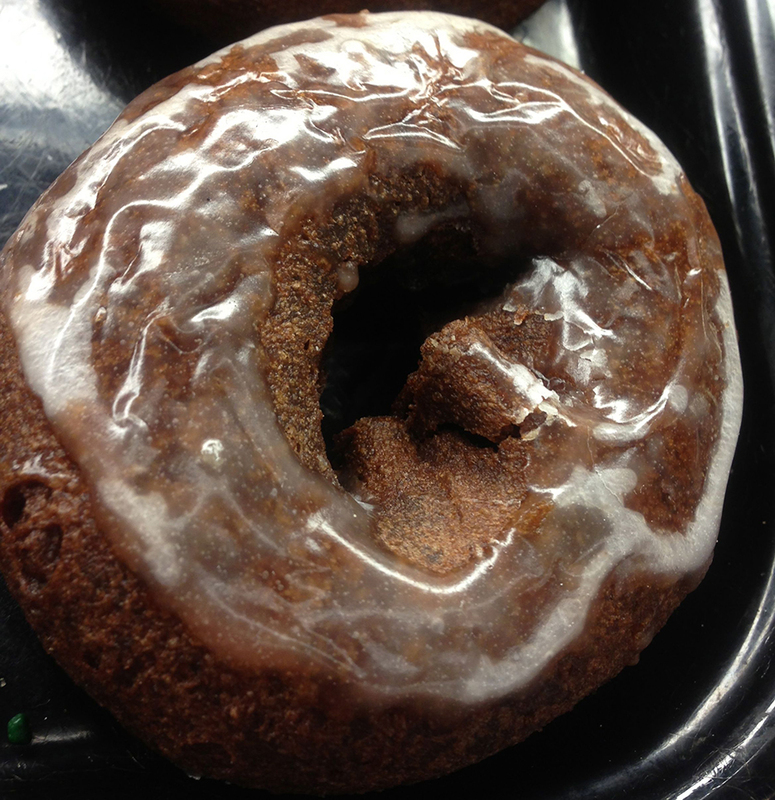 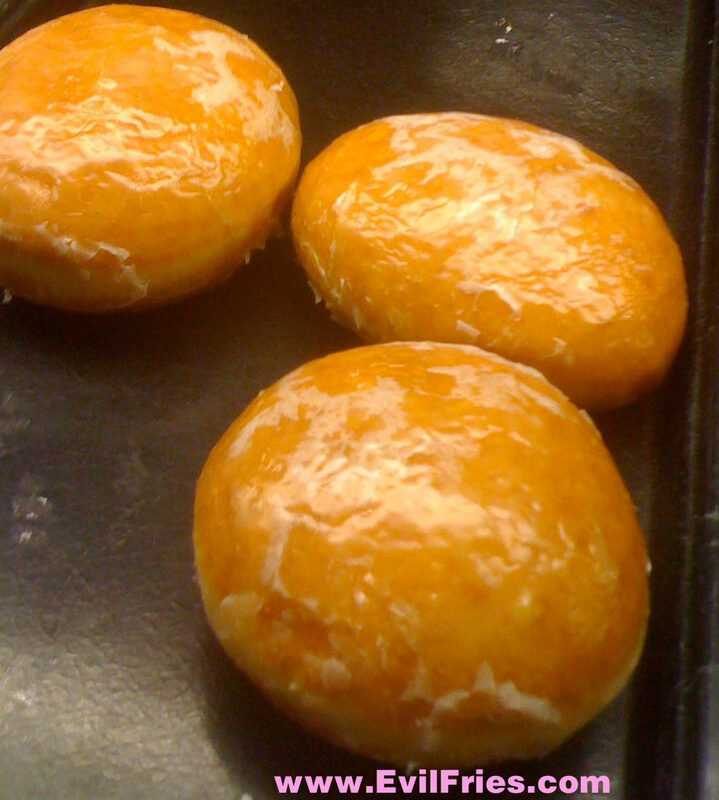 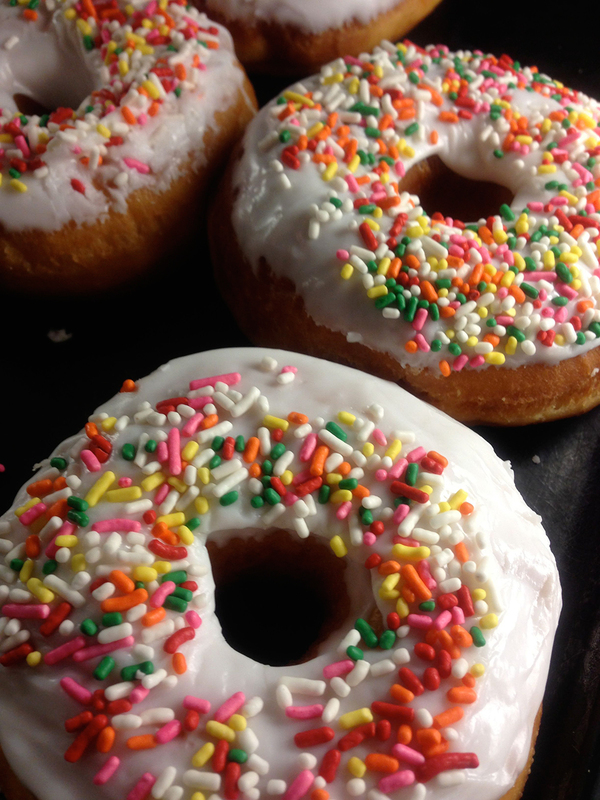 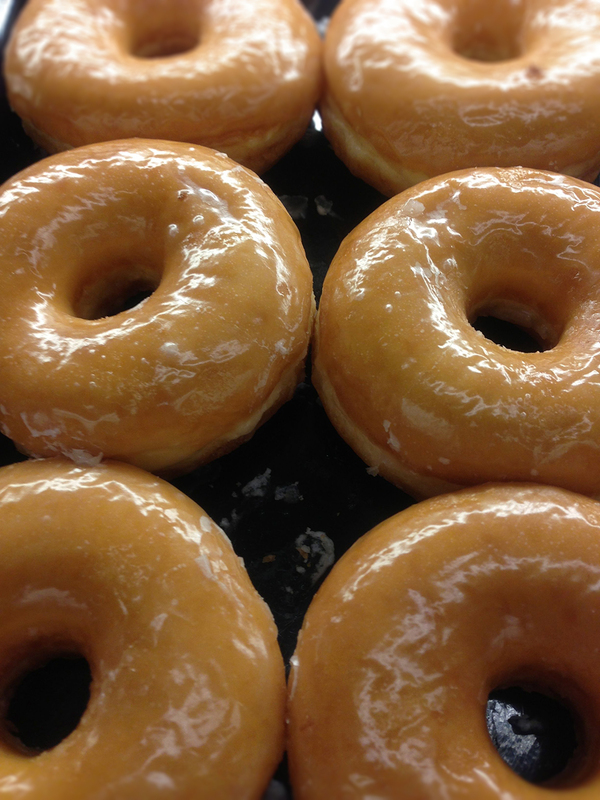 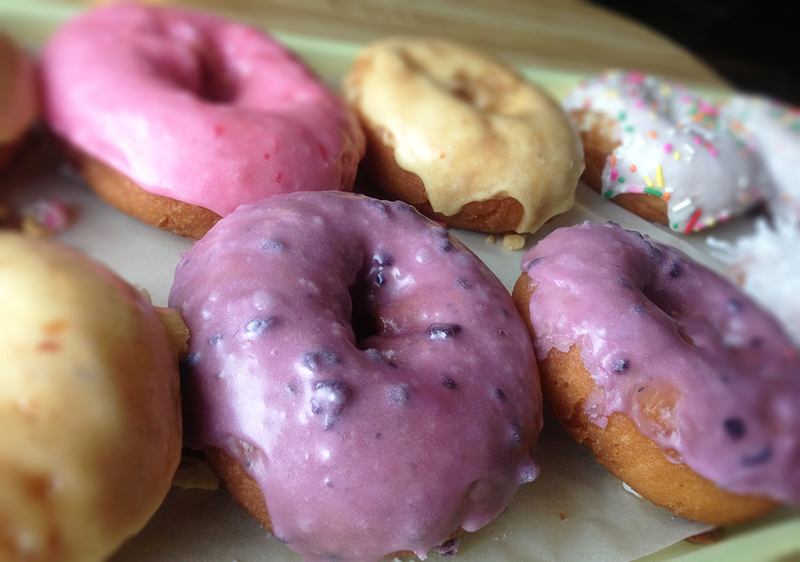 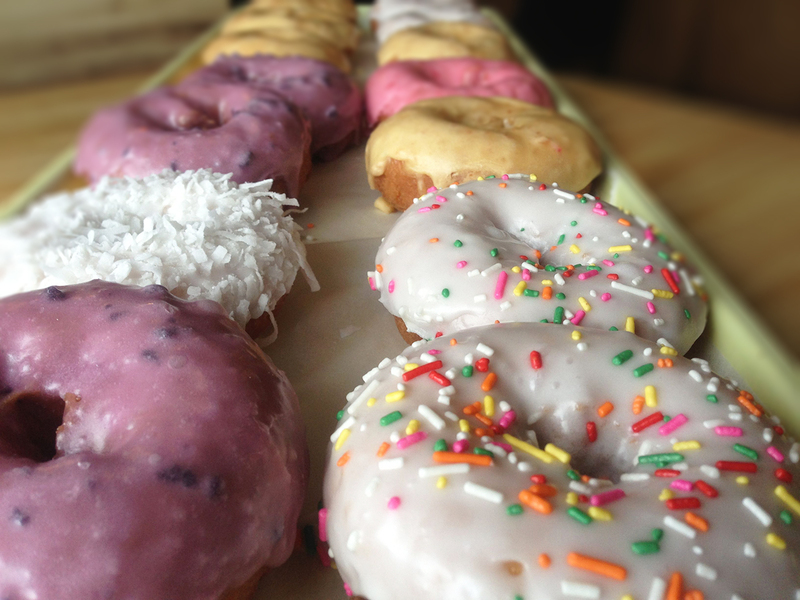 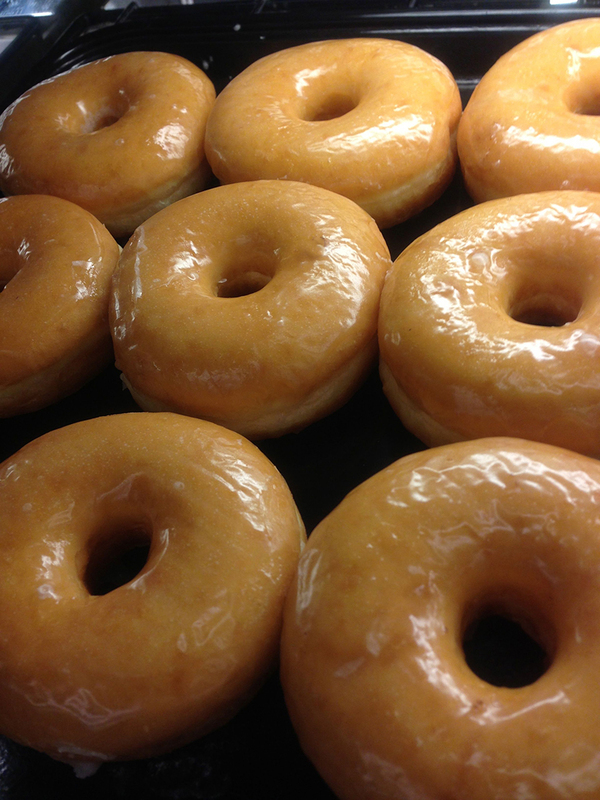 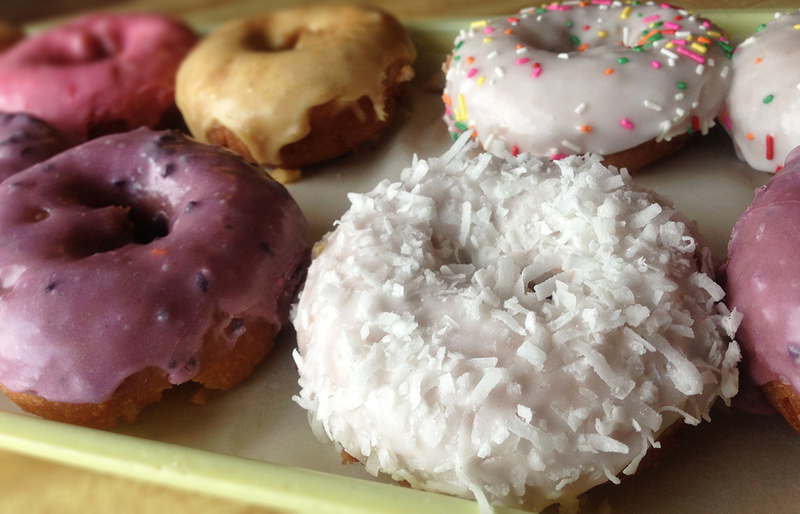 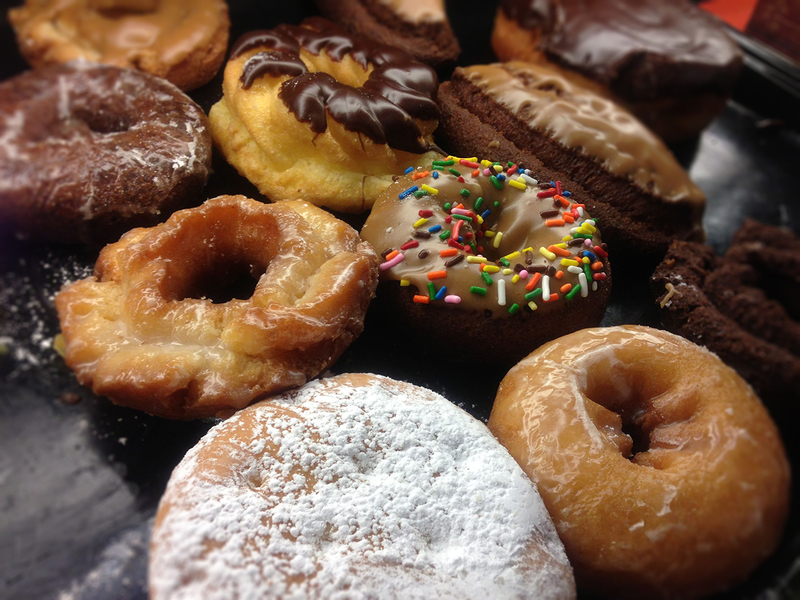 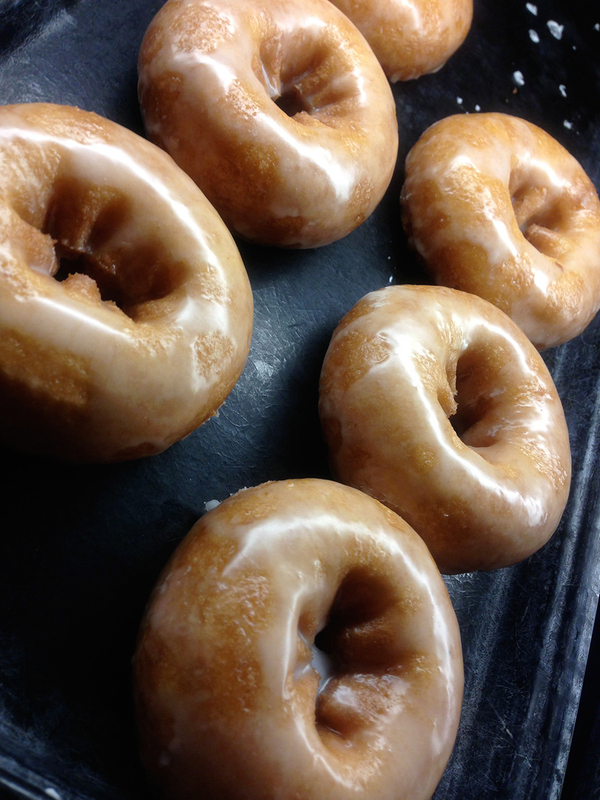 Just donuts to make you hungry. 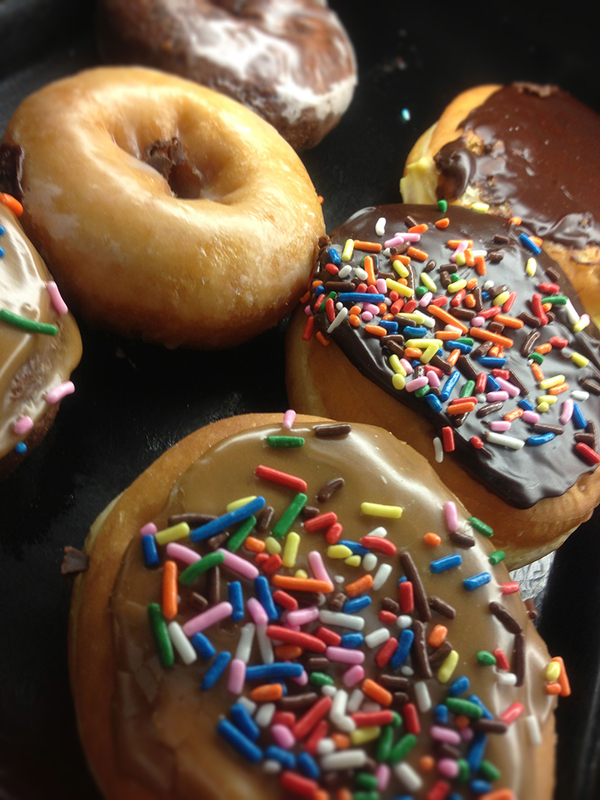 Donut Overload. 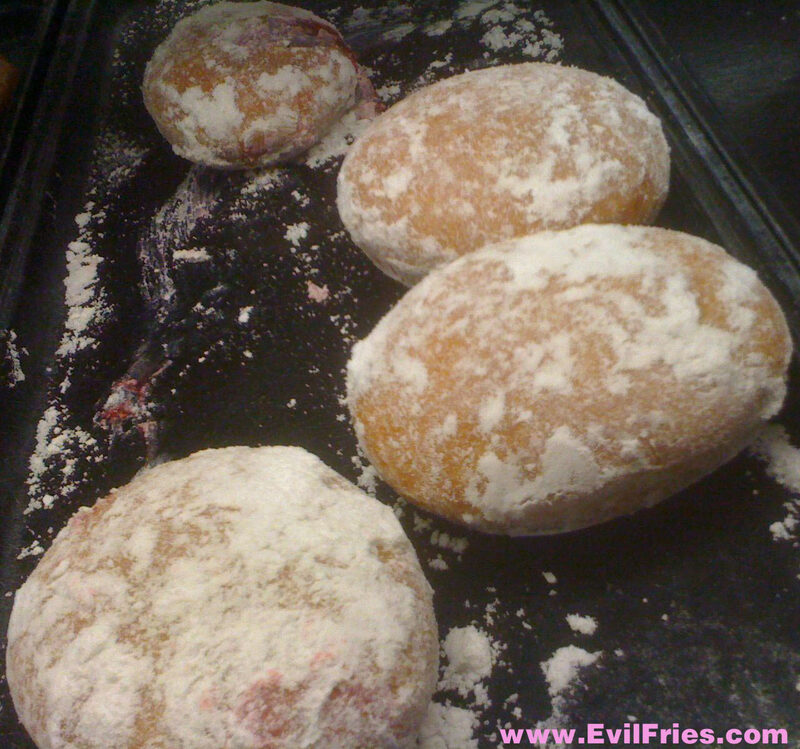 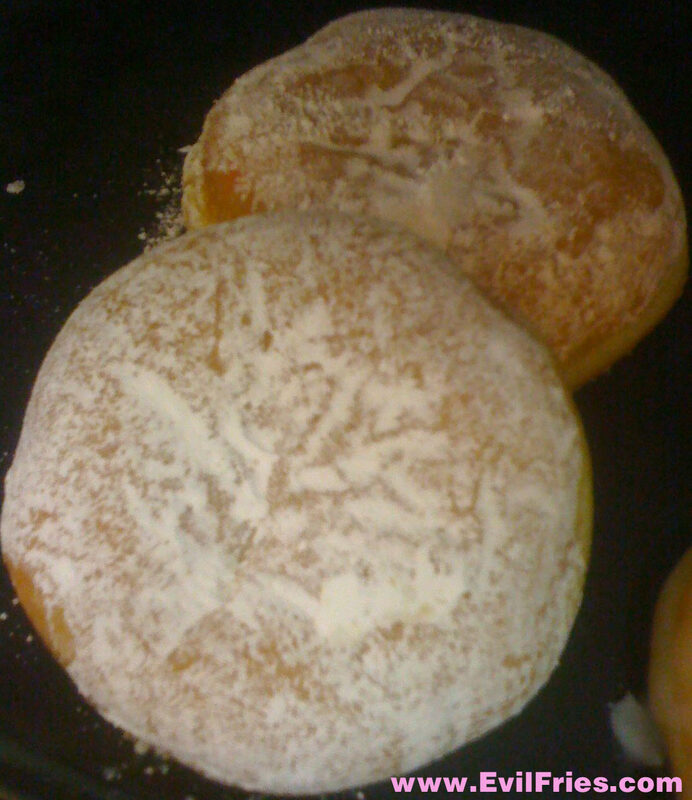 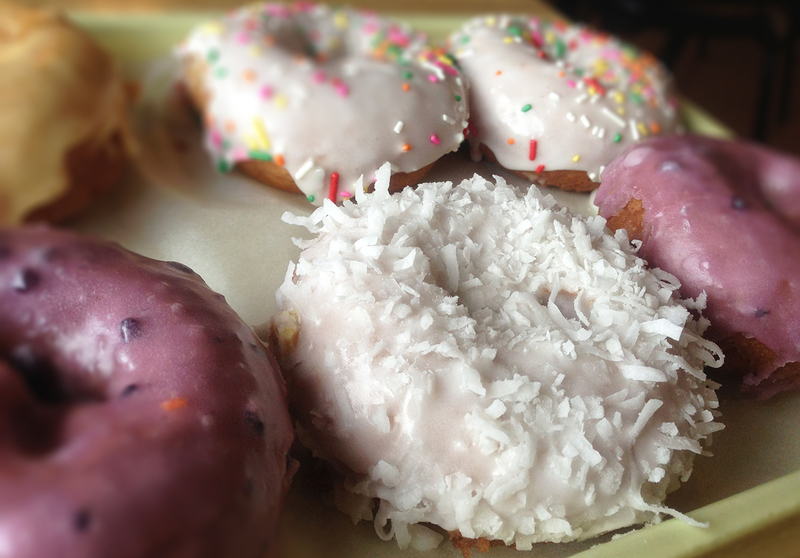 Basic sugar donuts and jelly filled powdered donuts. 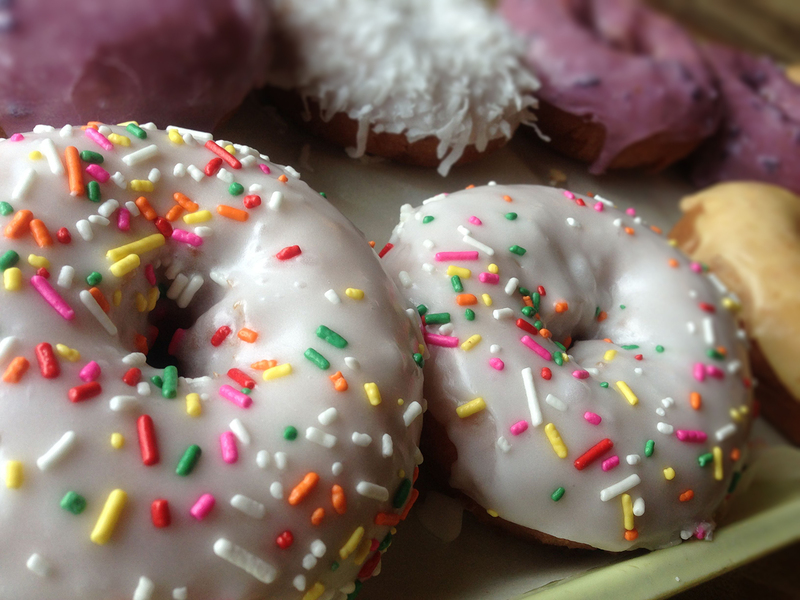 Sugar overload — A lot of donuts. 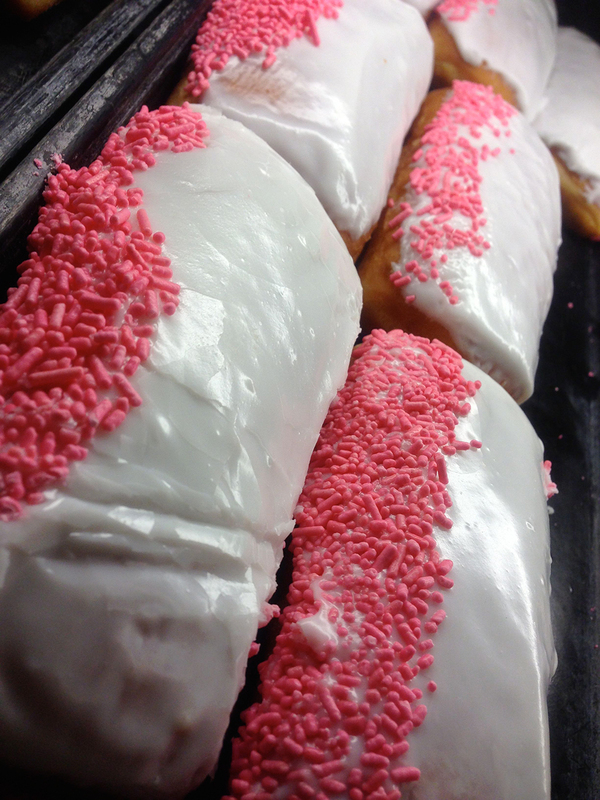 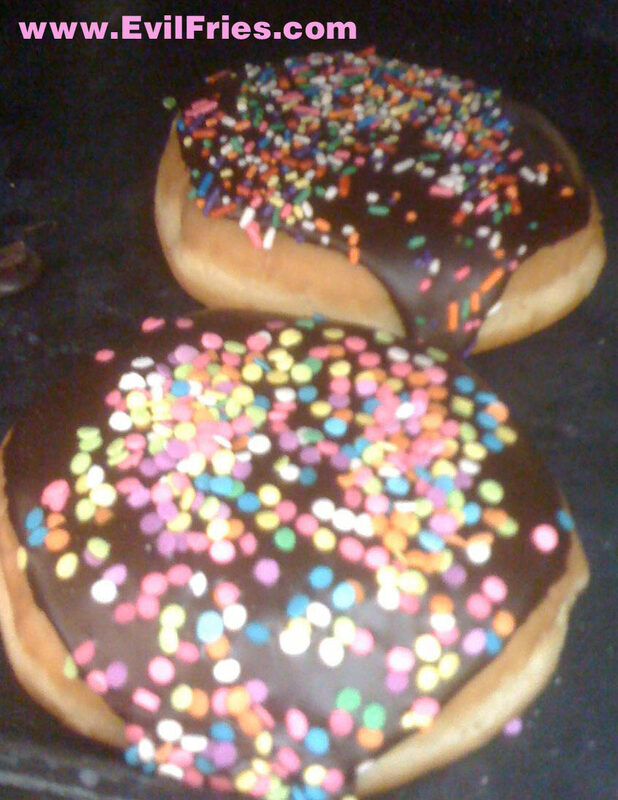 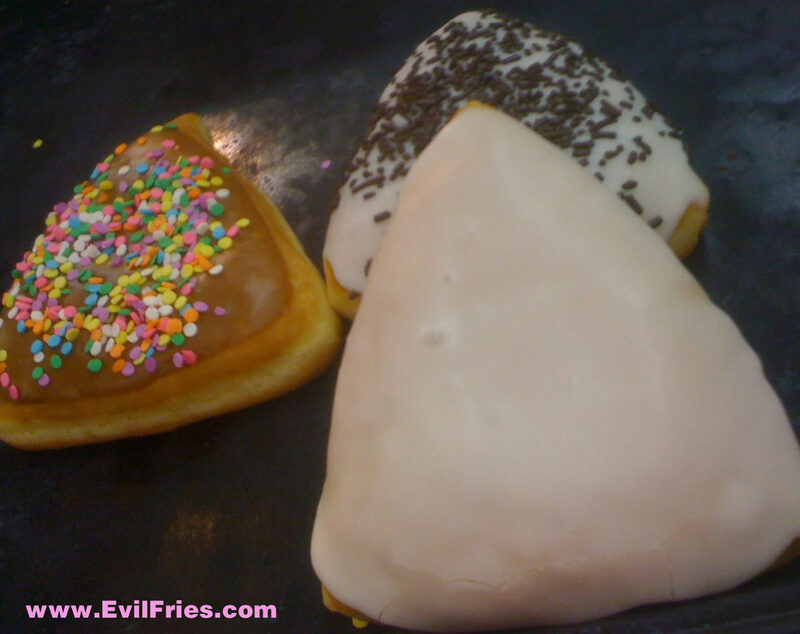 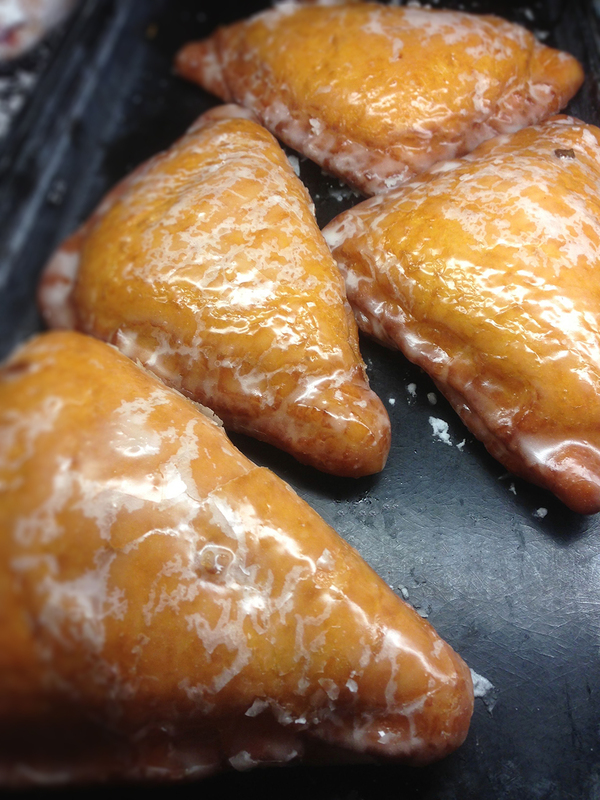 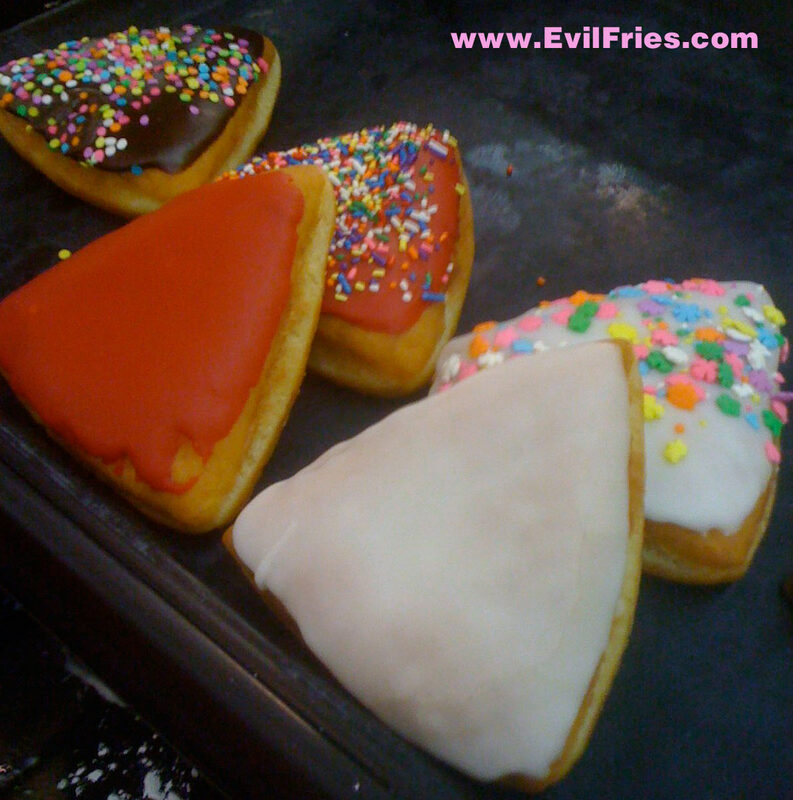 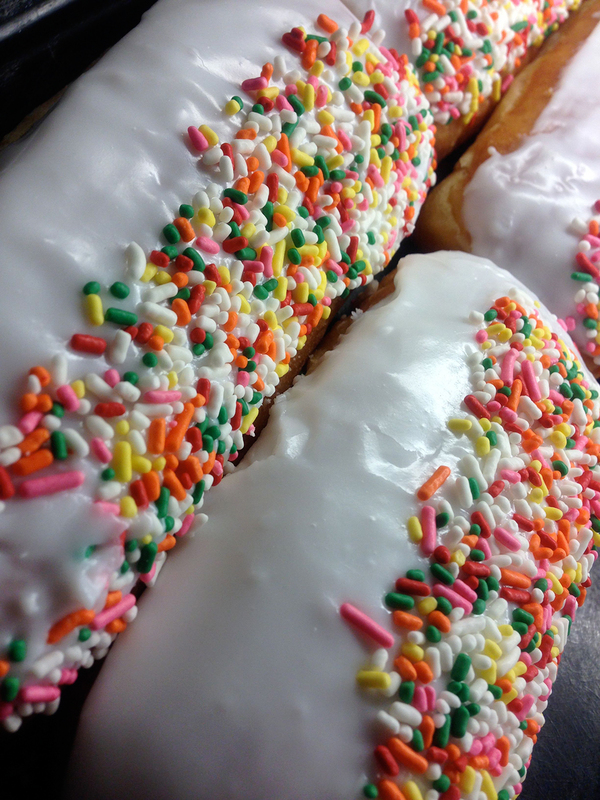 An assortment of triangle shaped donuts dipped in icing, some covered in sprinkles.